An advanced reactor for Auckland? So Auckland has been granted semi-autonomy by Wellington and wants to secure its power supply against peaks and national grid outages (ironically looking at you Otahuhu sub-station). The first question you need to figure out is whether Auckland needs an increase in base load power generation or load following power generation to take it through its morning and evening peaks. Base load is currently not an issue with Auckland thanks to the Hydro dams and Huntly power station. Load following or rather peaking especially as Auckland continues to grow is one I would like all stitched up in the bag to prevent issues further down the line. This is especially if we lost part of Otahuhu again or one of the National Grid Lines south of the Bombay Hills. Peaking or load-following capacity allows the ramp up and down of power production to suit demand while taking strain off the transmission system especially if such system is stringy like ours. If we go into a sustained heatwave or cold period a peaking/load following plant would be able to kick in. Where peaking/load-following also does well is when you have a high intermittent renewable energy system such as solar and wind in play. Wind and solar are not exactly the most reliable compared to traditional base load generators BUT they still give us clean energy none the less and should not be discounted. 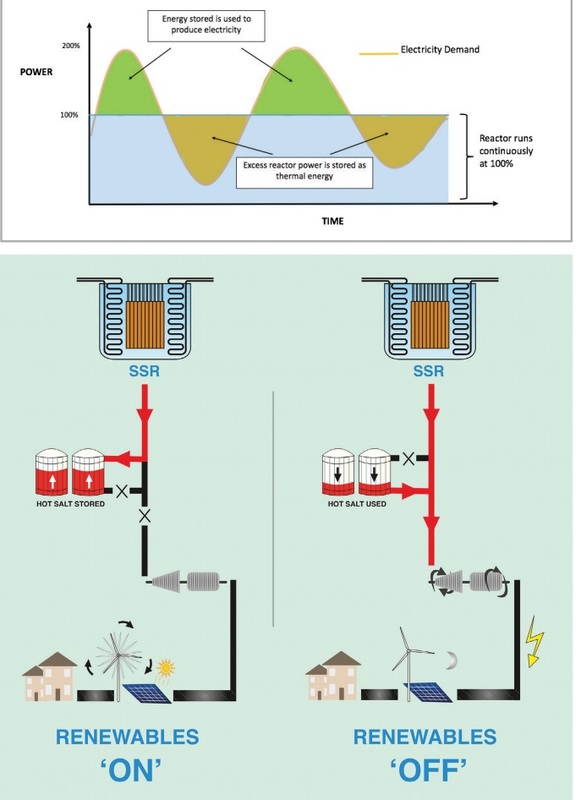 But for solar and wind to work effectively and avoid spikes in the transmission system during high demand they need to be followed up with another class of generator that can be ramped up or down very quickly. Hydro is one such generator but we already use them in base load production. Our main hydro dams are also at some distance from Auckland meaning even if they were in a load following mode they still have to get the electricity up the transmission system to Auckland. Gas fired generators are the next best option as they can ramp up or shut down quickly depending on load demand. But as we know they let off Green House Gasses and are also prone to the price of the gas supply. Auckland had two gas-fired generators in Auckland but they have been both shut down due to the uneconomical nature in keeping them open (price of gas and glut of electricity coming up from the South). But time will come again when load-following generators will be necessary especially as Auckland continues to surge in growth. So what type of generator is an excellent load-follower, lets off no emissions and when in operation costs $22MW/h to run (electricity spot prices go well above that when there is high demand and/or one of the hydro dams is offline)? I am not referring to old clunky conventional base load designs otherwise known as Generation II and IIIs that we are familiar with (negative or positive)(note: France does have theirs set up for load following but would be the only best example of this). 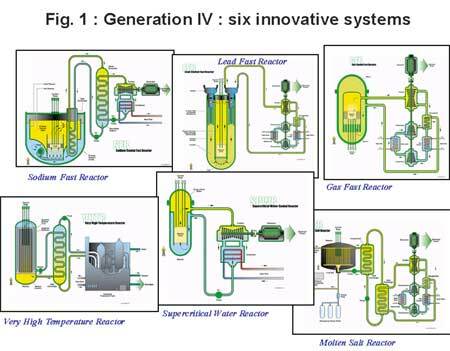 I am referring to what is known as Advanced Reactor designs or Generation IV designed for either base load or load-following and work on revolutionary designs rather than evolution seen with Generation IIs to Generation IIIs. Advanced Reactor designs are worked around the concept of allowing to be nimble through standardised designs and inherent passive safety features that lower cost of construction and operation. When I refer to inherent passive safety features I am referring to a total loss of power and coolant that can lead to accidents (meltdowns). Conventional designs even though a reactor might be shut down still need coolant to circulate through the Core to keep the reactor cool from decay heat. Failure to do so will lead to a meltdown as seen with Three Mile Island, Chernobyl and Fukushima. Advanced Reactor designs mitigate this risk though using other passive methods instead the requirement of having active circulated liquid coolant continuing to need to be supplied in a shut down. Normally natural air convection through the containment vessel would be enough to remove the decay heat (or with NuScale the natural convection of water). This allows the reactor to be walk-away safe as it were – that is mitigating the risk of a meltdown. With risk of meltdown mitigated and the new advanced reactor designs smaller and more nimble than conventional designs it will allow a small load-following nuclear power station (such as NuScale) to be built within urban limits such as a large heavy industrial complex (allowing for bonus effects as well such as industrial heat, steam and hydrogen for the surrounding industry). Having your load-following plant that lets off no emissions in such a location mitigates the risk of having to send power over transmission wires at a distance, i.e your power source is right where it needs to be – in the City. If you are wondering when the first Advanced Reactor design is coming on line for commercial use the answer is 2026 in the USA. The other two questions is fuel and waste. 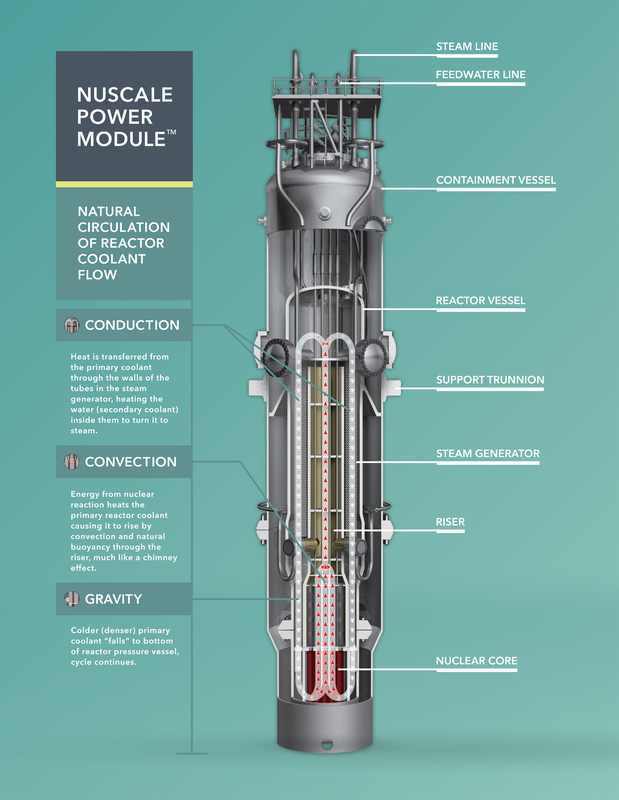 Fuel: Molten Salt designs like the one above and Terrestrial Energy’s Integral Molten Salt Reactor design use typically Uranium although they can be fitted out to consume nuclear weapon cores (often Plutonium), high level spent nuclear fuel from other commercial reactors, and/or Thorium if the Thorium cycle was to be used. Uranium and Thorium comes from Australia so we don’t need to go far for a fresh fuel source. I would not recommend using high level spent nuclear fuel or nuclear weapon cores BUT those options are available to the USA and Russia of which the USA has civilian reactors consuming Russian nuclear weapon cores as part of their various Treaties (Russia gets rid of their old nuclear warheads in return a US civilian reactor gets a fuel source that lasts years). Waste: Low level waste is typically buried and New Zealand does produce it already given we have nuclear medicine and other technologies such as ground penetrating RADAR. High Level waste that comes from spent fuel is the main issue in how it is stored. Conventional Reactor designs were not that efficient in consuming their fuel resulting in large spent fuel rod pools being needed before the waste was put into dry caskets and sit there until the Government figures out what to do with them. Advanced Reactor Designs (I am leaving out Fast Breeder Reactors in this example) are both more efficient in consuming their fuel AS WELL AS being able to consume spent fuel (burning waste) from older stations. So rather than thousands of years the waste is hazardous for decades or a century at least. Given we have old chemical and rubbish dumps that will be a bio-hazard for decades (Pikes Point anyone) to come properly stored dry caskets is going to be the least of our issues. 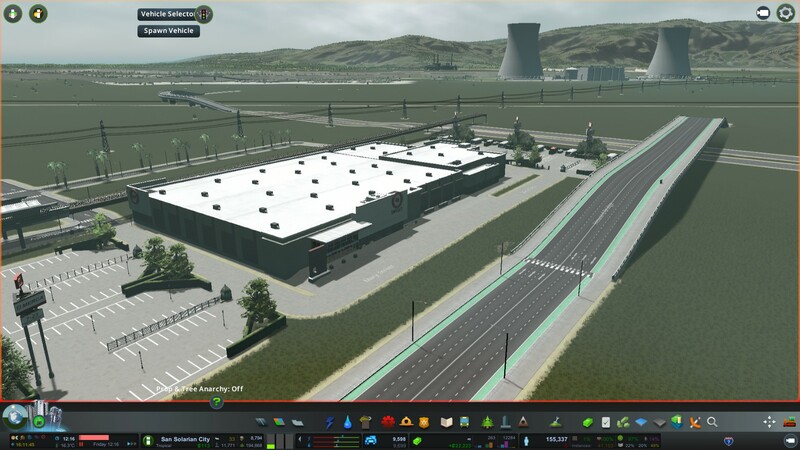 In the end Auckland gets a load-following non Greenhouse Gas emitting power station that also gives bonus properties such as heat, steam and hydrogen for nearby industry. Auckland gets a more secure power supply and load is taken off our National Grid transmission system in times of high demand or a hydro dam going offline. Modern designs have inherent safety features that allow the new reactors to be walk-away safe while waste is better understood and subsequently stored. Nuclear weapon proliferation is also mitigated against with Advanced Reactor designs so I wouldn’t even try it if you want to make a bomb (the fuel from a US submarine is better any how if you really wanted to go there). Of course would such an Advanced Reactor nuclear power station ever be built in New Zealand let alone Auckland? Nope, but still a What-if for you if we did take a different path towards nuclear power. It is not just economy, it is not even technology, it is more a country image. Nuclear free NZ is a brand that needs to be celebrated and will attract tourist.